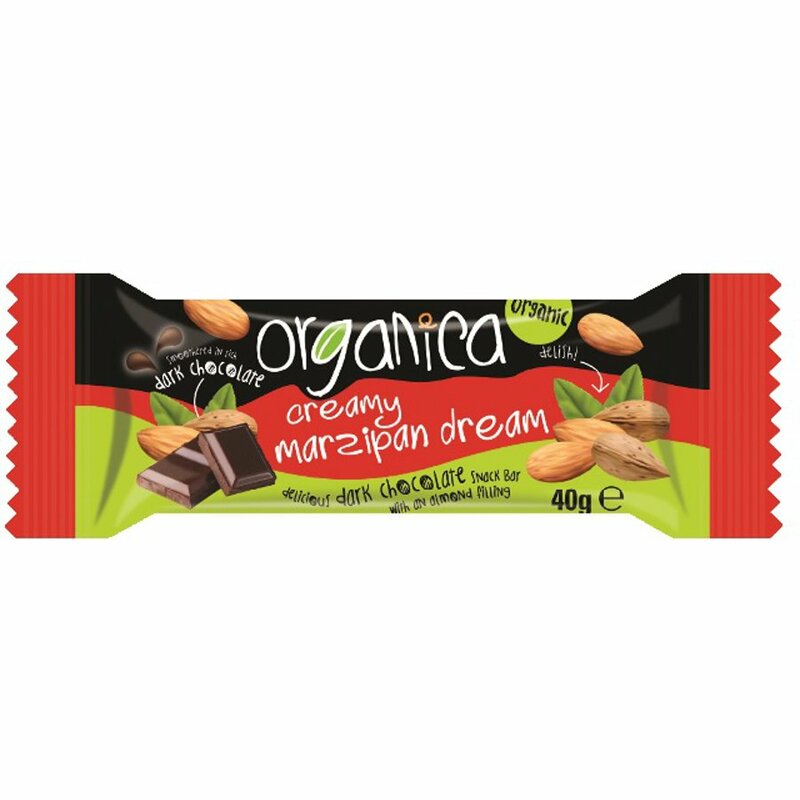 With a sweet almond filling and covered in delicious dark chocolate, this yummy vegan Marzipan & Dark Chocolate Bar from Organica is a fantastic sweet snack. This chocolate is made in a factory that handles nuts, dairy, lupin and soya products. The Organica Organic Marzipan Dark Chocolate Bar - 40g product ethics are indicated below. To learn more about these product ethics and to see related products, follow the links below. I love these bars - great as a snack when out on trips.rnUsually eat as second course after K9 bar. I have eaten many marzipan bars in the past and this is by far the worst! Sickly sweet, cheap tasting chocolate and no almond marzipan flavour at all. It is just like eating a bar of sugar!I will stick to Ritter Sport marzipan which is also suitable for vegans. Unfortunately these will have to go in the bin because they are too awful to offer to family and friends. Very disappointed.